First, consider that this area is where the city of Seattle was actually founded, early structures being built on a small point of land called Denny’s Island, a peninsula that was sometimes cut off from the mainland at high tide. It was roughly where First and Jackson is now. In addition to early commercial buildings, there were native village sites there, according to old maps. A wharf was built and eventually docks extended into Elliott Bay and the Duwamish River Delta. What we think of as SoDo was water and a vast tideflat. At the bottom level, then, you have the old delta, and likely remains of prehistoric activities, covered with sand and mud, and later debris. As docks extended southward, the flats underneath eventually filled in with garbage from the ships and the businesses that sprouted, like sawmills and warehouses. Fill dirt also came from surrounding areas, dug out of Beacon Hill during an aborted ship canal dig project to Lake Washington. Remains of the 1889 Great Fire were dumped onto the flats to clear the way for the new Pioneer Square. Railroads extended lines and trestles out, and people built homes and shops on the docks and the new land that filled in around them. And those structures were replaced by subsequent generations of warehouses, rail yards, industrial buildings, and residences. Tens of thousands of artifacts will be itemized and documented from paleontological periods, prehistoric native settlements and historic archaeological periods such as the first white settlements and the 1889 Seattle fire. It has been recommended that a sampling of these artifacts with intrepretive displays and lectures should be put on exhibit in Pioneer Square. That is what needs to fill this pivotal recently vacated space. It would be a major economic generator for the District as a destination facility. Skolnik makes a vital point, which is the need to communicate with the public the excitement of what is being learned as these large projects go forward. Building the future, if it’s done right, can teach us valuable lessons about the past, and that’s a major public benefit. Coping with cultural resources isn’t only a legal requirement, it’s a valuable part of city-shaping. Despite stereotypes about preservationists wanting to stop progress, I’ve encountered virtually none who do. Only rarely will projects be brought to a screeching halt for archaeological reasons (though disasters do happen). The laws are trying to ensure that cultural impacts, like environmental ones, help shape change by ensuring that history and progress are integrated and strengthen culture, or at the very least, that heritage is not irreparably harmed. Anyway, both articles are well worth reading and I am a little envious that Seattle has such an archaeologically knowledgeable and yet constructively critical journalist as Berger — we could use one of those in Vancouver! I think part of the secret is Berger doesn’t distinguish much between pre-contact and historical archaeology, but casts them as a seamless history of the city. And, as is abundantly clear at Ruskin Dam, at West Point, and numerous other urban or industrial contexts, there can be substantial archaeological materials from the distant past still preserved in strips and patches and deserving of full protection or careful excavation and interpretation. 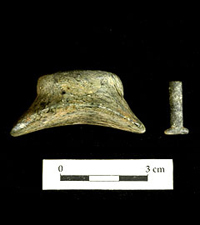 This entry was posted in Archaeology, Cultural Resource Management, history, Northwest Coast, Washington State and tagged Archaeology, Duwamish, historical archaeology, history, industrial archaeology, Puget Sound, Seattle, Suquamish, Urban archaeology, Washington State. Bookmark the permalink.